Recently I started conducting research to determine what crash data could tell me about the impact roadway and vehicle safety improvements have had on the number of fatalities occurring on roadways in the United States (US). I was encouraged to see that, in general, fatalities have declined about 15% over the last 20 years. However, in the US there is still an alarming number of people dying each year: 33,561 in 2012 alone, according to the latest report from the National Highway Transportation Safety Administration (NHTSA). How could this number still be so high? I started delving deeper and reviewed the Fatality Analysis Reporting System (FARS), a database maintained by the NHTSA. FARS has been operational since 1975 and is a yearly census of fatal vehicle crashes within the 50 States, the District of Columbia and Puerto Rico. Every vehicle crash on a public roadway that results in at least one fatality is recorded in the FARS database using information retrieved from Police Accident Reports (PARs). The eye-opener is just how much more deadly a traffic accident is when it involves a large truck—described as having a gross vehicle weight greater than 10,000 pounds. In fact, 81% of fatal crashes involving large trucks are multiple-vehicle crashes, compared to 58% for fatal crashes involving passenger vehicles. 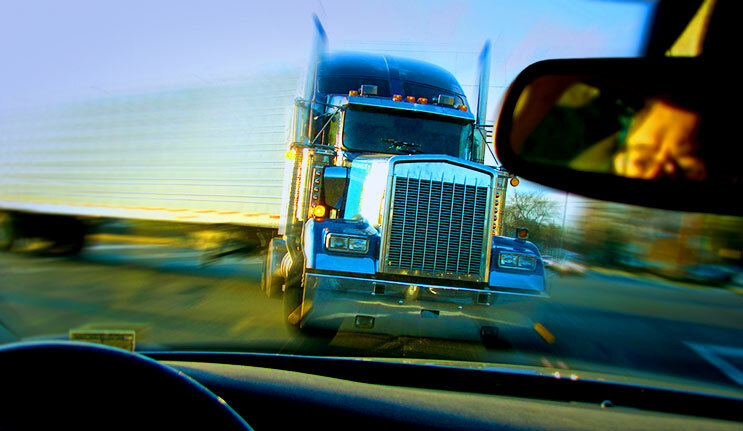 While there are some varying conditions when you compare passenger vehicle crashes to those involving large trucks, there is an overwhelming abundance of similarities related to driver behavior. According to the US Department of Transportation (DOT), speeding was the top driver-related factor in crashes involving large trucks, followed by distraction/inattention, impairment (e.g., fatigue, alcohol, illness, etc. ), failure to stay in the proper lane and having one’s vision obscured. Obviously, we have a long way to go to ensure road safety. Driver behavior is still the biggest variable. In fact, NHTSA’s 2008 National Motor Vehicle Crash Causation Survey found that 93% of all vehicle crashes are caused by human error. 333,000 — Number of large trucks involved in traffic crashes in 2012. 3,921 — Number of people killed in crashes involving large trucks in 2012 compared to 3,781 in 2011 – a 4% increase. 3,217 — Total number of people killed in large truck fatal collisions other than the driver of the truck. 543 — The number of large trucks involved in fatal crashes in the state of Texas. Over 14% of fatal crashes in Texas involved trucks, the second highest in the US following North Dakota that recorded 20.2%. 424 — Number of people killed in large truck accidents as the result of single-vehicle accidents in 2012. 273 — Number of people killed in large truck accidents as the result of multi-vehicle accidents in 2012. 82 — Total percentage of people killed in fatal large truck collisions that are the occupants of other vehicles or non-passengers (e.g., pedestrians, bicyclists). 34 — Percentage of drivers where fatigue was identified as a driving-related factor of a fatal collision. 21 — Percentage of all fatal collisions where the driver of a large truck was driving too fast for conditions or in excess of the posted speed limit. 17.7 — Percentage of drivers that had at least one previous speeding conviction at the time of their fatal collision. 12.9 — Percentage of drivers that had at least one previously recorded crash at the time of their fatal collision. 11.5 — There are 11.5 times more non-occupants killed in large truck collisions than the drivers of the trucks themselves. 11.4 — Number of fatal crashes that occur each weekday in the US. 8.3 — Percentage of large trucks involved in all fatal crashes in the US in 2012. 8.2 — Percentage of drivers that had previously recorded suspensions or revocations at the time of their fatal collision. 6.9 — Percentage of all fatal collisions where driver inattention of the truck driver was identified as a driving-related factor in the fatal collision. .95 — Approximate number of people that die from a large truck collision each hour between 6 AM and 6 PM every weekday in the US. It should come as no surprise that when a large truck is involved in a multi-vehicle accident, the results can be catastrophic. Although only 8.3% of all fatal crashes involves large trucks, when a large a truck is involved, the outcome is often fatal—with 11 times as many occupants in other vehicles being killed compared to the driver of the truck. Driving a large truck is no excuse for these results. Well-trained drivers should adjust their driving behavior according to the type of vehicle they are operating and the surrounding conditions. While safety innovations continue to play a role in improving accident prevention and outcomes, fleet and safety managers, along with insurance companies, must raise the bar when it comes to improving driver behavior—especially for drivers of large trucks. With litigation judgments and settlements easily surpassing the million-dollar threshold, it simply makes good financial sense to be more proactive on the fleet safety front. Remember that when you collect data, identify unsafe behaviors, and take time out to coach drivers and provide proper training, you could also be saving a life. Reserve your spot at this FREE event: 7 Ways to Become a Fleet Safety Management Rock Star!